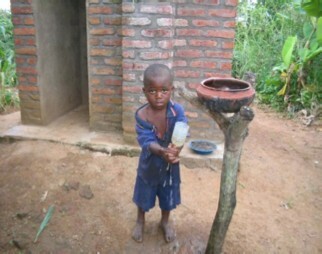 3for5 Blog: Imagine a Life with Water! Imagine a Life with Water! 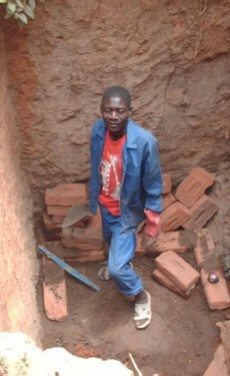 Imagine having the broken shallow well in your community - a daily hopeless reminder of your unquenchable thirst - fixed! Imagine your relief as your village receives training on the operation and maintenance of the Afridev hand pump that has been fitted to this well. Imagine drinking clean water for the very first time from a new borehole well, as your community leaders are mobilized and educated to sustain its maintenance for decades to come. Imagine playing with your best friends by the well being drilled next to your school, your mouths watering in anticipation of being able to get a drink by the end of the year. Imagine being trained as a local mason, able to build ecological sanitation latrines for your neighbors, family and friends - or as a mobile mechanic, equipped to provide advanced technical support for maintenance and timely repair of water systems. Imagine having a toilet for the first time ever, one that will pay for itself by composting waste into valuable fertilizer that you will sell to the entrepreneur who will sell it to local farmers. Imagine experiencing the effects of learning about handwashing, proper water storage techniques, and elimination of open defecation through hygeine clubs, drama, music, posters, demonstrations, and leaflets. Now celebrate with us, because you were a part of helping all of these things become reality! With your 3for5 donation, you were part of a massive coordinated local, national and international effort to provide clean water, sanitation, and health and hygiene programs to approximately 5 schools (2,749 children & teachers) and 20 villages (3,250 community members) located within Traditional Authorities (TA’s) of Kasisi and Maseya in Chikhwawa, Malawi. With your $10,000, our 3for5 community funded the provision of water and sanitation as well as hygiene promotion to approximately 164 community members and 139 children & teachers (the equivalent of a lifetime of water for 60 average-sized families in Malawi). This is just the beginning! Thank you for joining together in our effort to give people in Chikhwawa, Malawi clean water - you are making a tremendous difference!